Admit it. Without those ice-cold desserts, your summer vacation will just be a tormenting hibernation. But thanks to the local favorites like halo-halo and ice cream, we can now quench our thirst in a colorful, delectable way. Now, if you want a little gastronomic adventure, Davao has something thrilling to offer for you. Crocodile Ice Cream — A taste of Davao’s finest. At first glance, you might see no difference between an ordinary and crocodile ice cream. Of course, Lolong or any of his rotten meat has nothing to do with it. 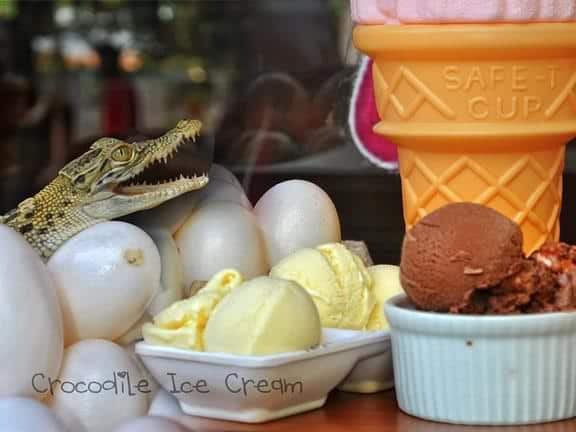 In fact, crocodile ice cream is actually made from a combination of milk and crocodile eggs (80% is comprised of egg yolk). Sufficed to say, this exotic dessert from Davao offers no ingredients that will make the ice cream less palatable. And if we believe those who already tried it, crocodile ice cream doesn’t deviate from the popular taste we’re all familiar with. Chef Dino Dizon–also known as the “Crocodile Chef”–pointed out that crocodile ice cream is actually more nutritious than its classic counterparts. A serving of crocodile ice cream contains less cholesterol and gives more protein than an ordinary chicken egg. Crocodile Ice Cream for your Sweet Spot. Chef Dino Dizon is the owner of Sweet Spot Artisan Ice Cream, the first in the country to offer a unique type of exotic ice cream. Although the store offers different flavors with catchy names, only “Durian Dynamite” contains crocodile eggs. Hence, it’s more expensive than other classic flavors such as Dragon Fruit, Pandan, Vanilla, Mt. Apo Coffee Crush, MangoMazing, Strawberry Kiss, Peanut Brittle, Melon Madness, Crazy Monkey Banana, among others. The Davao Crocodile Park now offers the same exotic dessert so tourists can have more reasons to visit them. 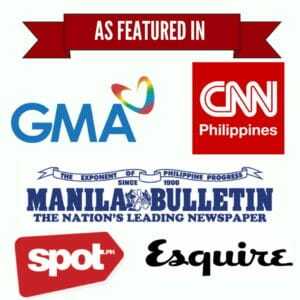 Crocodile ice cream has slowly gained popularity over the years, making its way to national news programs such as TV Patrol. Although its name may make it sound less appealing for some, this exotic ice cream promises to dance with your taste buds like what our good ‘ol desserts do. Now that we have a crocodile ice cream to enjoy, perhaps it won’t take that long before a ‘balut’ ice cream comes out to the market. Do you want to taste one? ← “Pinoy Aquaman”: Amazing Bajau can dive underwater for up to 5 minutes – With NO oxygen tank!